Leading up to the Show the scarecrows had begun to appear around the village and the Show Schedules had been picked up from the village shop, the Green Man and the Horseshoe pubs. At last the Big Day arrived, Saturday, 12th September. The scarecrows disappeared from their various homes and reappeared in the School field, almost 20 of them, ready for judging. Exhibitors started arriving early; young children clutching their plasticine models, jars of flowers, drawings, limericks, decorated biscuits and curly-headed egg heads; adults with armfuls of vegetables, fruit, flowers, jams, chutneys and an amazing variety of handicraft items. The standard of the entries made it very difficult for the judges, but they did a splendid job. Although the doors officially opened to the public at 2.30, the Hall was beginning to heave well before then; the exhibitors casually walking up to their exhibits to see if they had a winner’s stamp on it; the remainder of the public eager to see what was on display and have a natter with a cuppa and a piece of cake. This was also an opportunity to showcase widely the refurbishment work that had been carried out on the Village Hall as part of the £100,000 Project Diamond: a state of the art kitchen, newly-styled toilets, including a disabled toilet and nappy changing facility, and new corridor doors. Further work has still to be done. There were 15 cups and shields to be won. John Shann again excelled in the vegetable and flower classes winning three prizes but was narrowly pipped by newcomer to the Show, Bryan Calder for the Chrysanthemums’ Open Challenge Cup. The only other multiple winner was Ruth Welsh, who won the Grace Stapleton Memorial Cup for Handicrafts and the Hipkin Trophy for the Visual Arts. 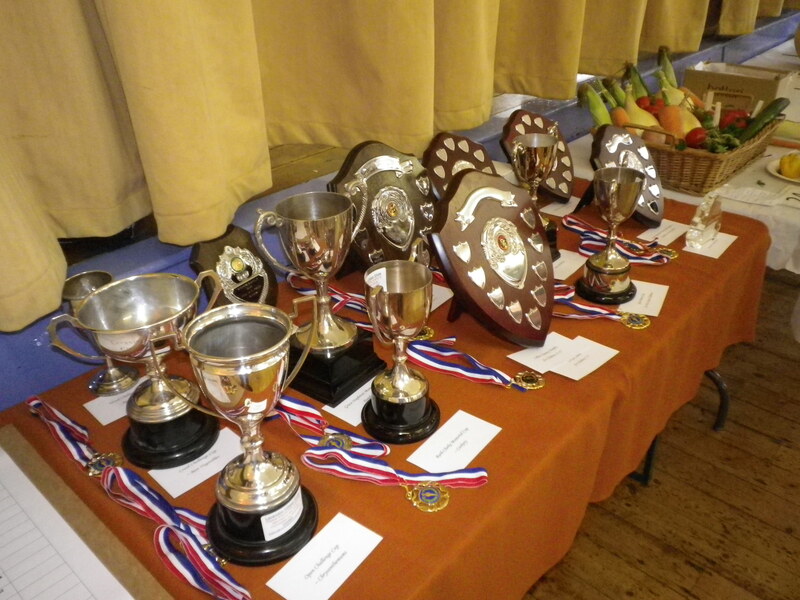 Other adult winners were Florence Welsh, who won the Ruth Clarke Memorial Cup for Cookery and Simon Lambert, for the Men’s Baking. Winners in the Children’s Classes were: Elizabeth Hulett-Richardson, for the Collins Charities Trophy for the 12-15s, Nicola, Andrew, Daniel and Philip Thomson, for the Collins Charities Trophy for the 8-11s, Elizabeth Raymond, the LNGR Shield for the 5-7s and Rory James for the Julia Mann Cup for pre-School Children. The Children’s Fancy dress competition for the Janet Mabbutt Memorial Trophy attracted over a dozen entries ranging from superheroes to fairies and was won by Caitlin Presbury in her cowgirl outfit, with Jack Smith dressed as Harry Potter second and Sophie Thompson as an Egyptian queen, third. The scarecrow competition was judged by Debbie Brock and Councillor Peter Geary. 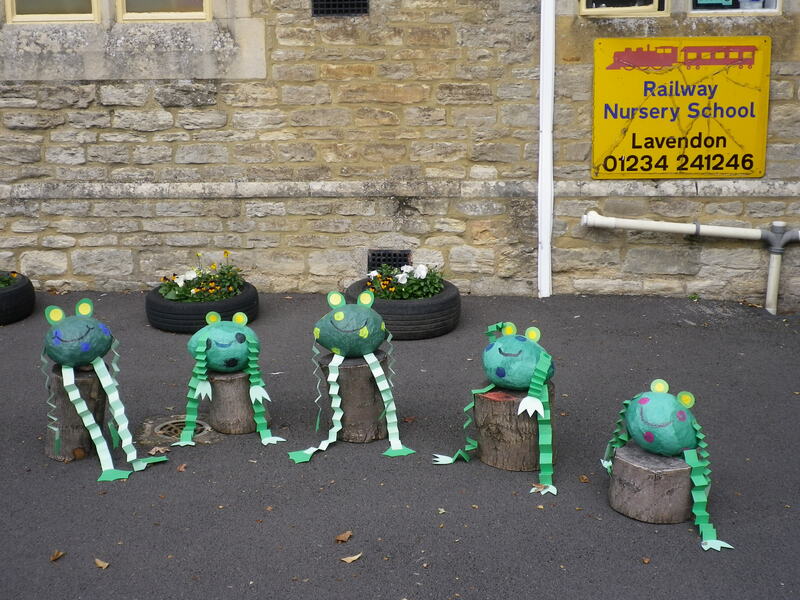 The Children’s prize went to The Lavendon School’s bird of prey with its massive wing-span and ferocious-looking yellow beak; the adult’s prize was won by the Green Man pub with its heavily camouflaged ogre-looking creature, aptly named “The Green Man”. A choir of children from the school performed a couple of toe-tapping, catchy songs with obvious enthusiasm and enjoyment and the audience showed their appreciation with prolonged applause and cheers at the end of this mini-concert. Congratulations to the children and the teachers. Those exhibits that were not reclaimed by their owners were then sold off at bargain prices and a MoT voucher, donated by Burrows’ garage, was auctioned. A high-price tote bag, generously donated by Tustings, was won by Debs Campion. 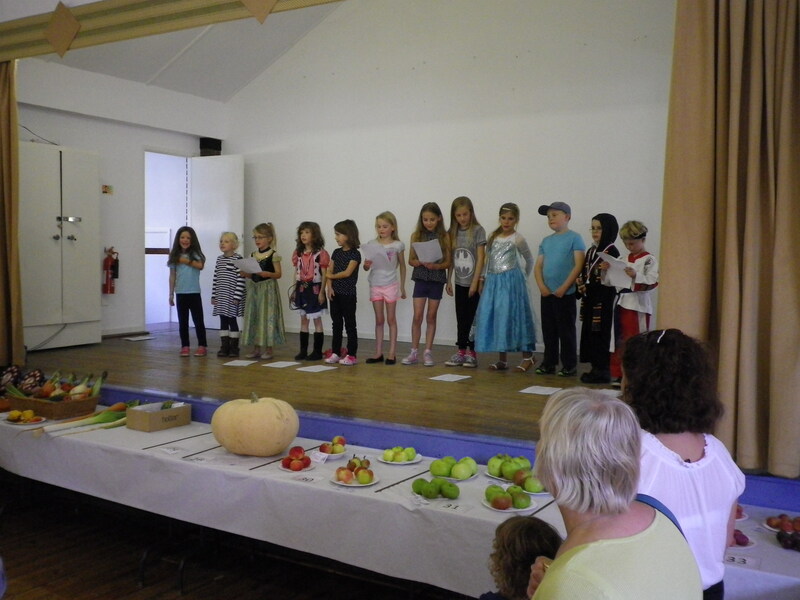 The money raised for the Village Hall Charity was in the region of £850, but the Show was about much more than raising money. 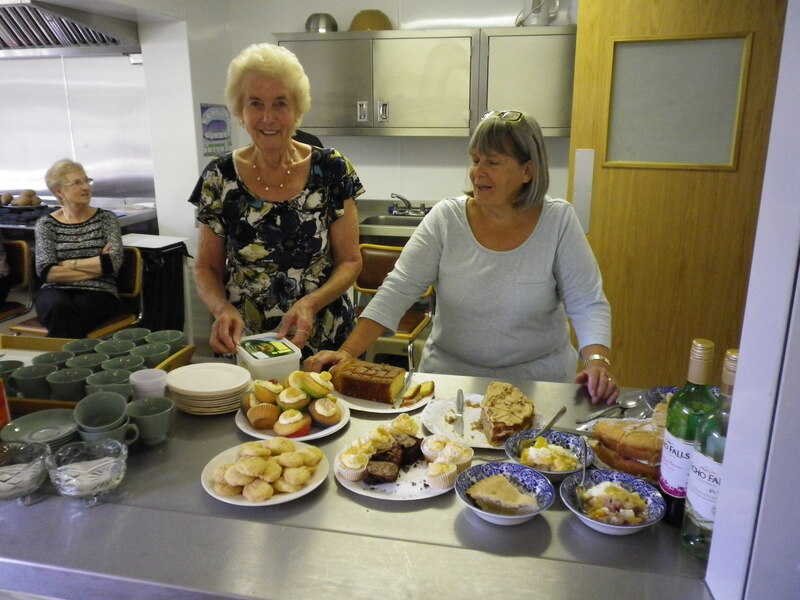 It was also an opportunity for people in and around Lavendon to demonstrate their talents in their hobbies and pastimes, as well as enabling the local community to enjoy an afternoon of varied, simple, inexpensive pleasure with family and friends. At the end of the Show, Kath Collins, Chair of the Show Committee, thanked everyone who had contributed to the event: the organisers, the helpers, the judges, the donors, the teachers and children, the exhibitors and of course the visitors. We hoped you enjoyed yourselves. See you next year.